They will rise on wings like eagles! They will walk and not grow weak! The Lord's name be praised! 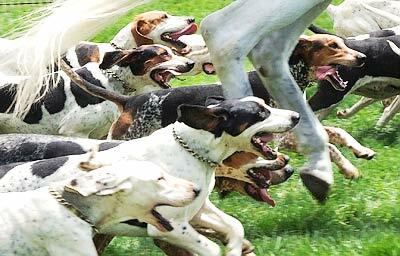 Photo of the Parade of the Hounds at Winterthur's Point-to-Point festivities near Wilmington, Delaware. Prayer based on Isaiah 40:31. Copyright 2007 by Danny N. Schweers.